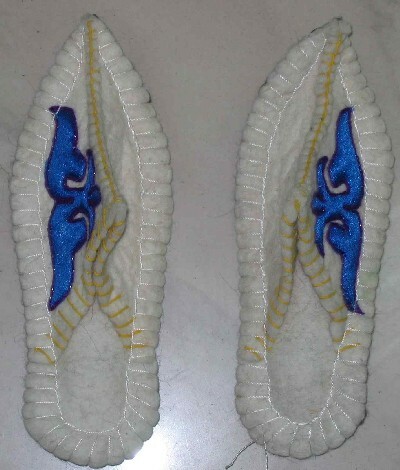 These are Kazakh slippers. 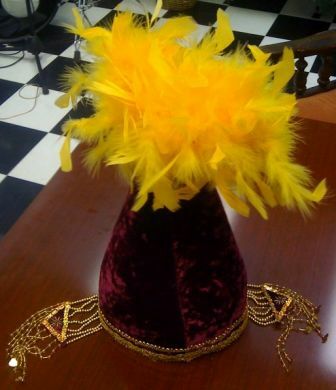 These come in one size only, which is about 11", long. 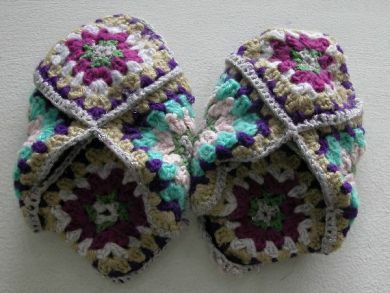 These are handmade Kazakh slippers for a baby. 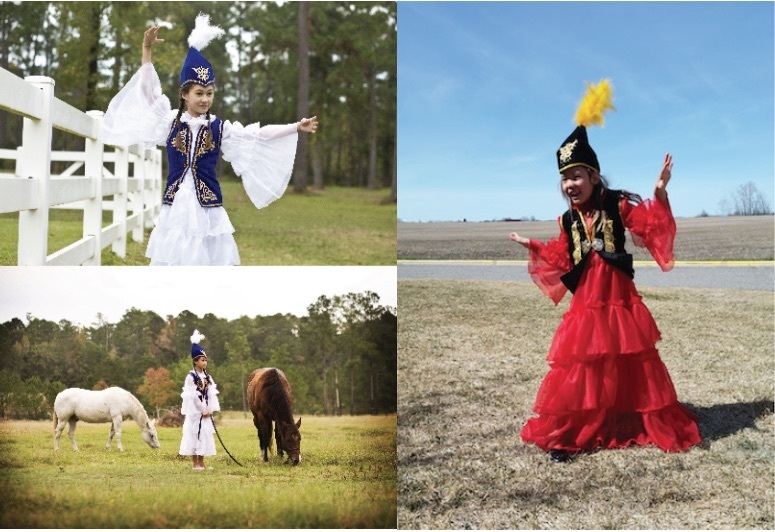 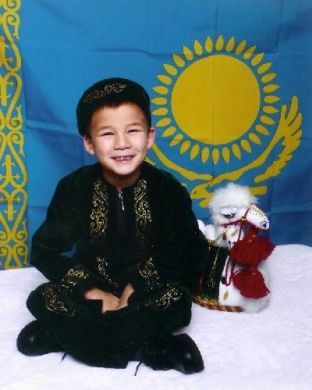 A traditional Kazakh outfit made for a boy. 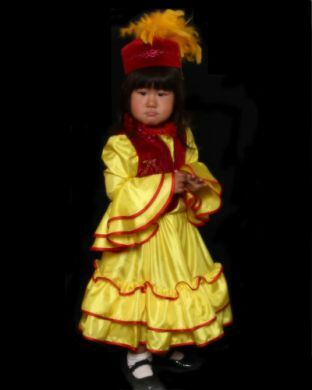 This one would fit a 4 year old, but please let us know if you would like us to find another size. 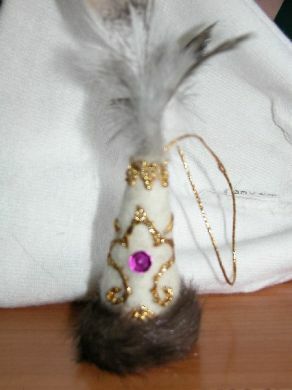 This a Kazakh girl',s hat with an Owl',s feather.